At Dunum Valley Conservation Area, we observed 4 wild orangutan individuals, including a flanged male, a mother and two children. They were feeding, resting and making a bed. Especially, we observed a flange male feeding fruits from a very short distance. For four days, he was always eating the same fruits at different trees. This is perhaps because it was rainy season, when there are less variety of fruits compared to dried season. We also walked around in the forest with the local guide, and saw a lot of animals, insects and plants of tropical rain forest. 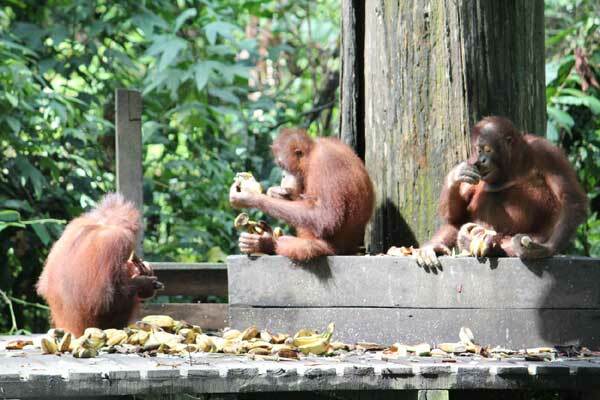 At Sepilok Orangutan Rehabilitation Centre, we observed orangutans feeding on the platform for two times, and saw orangutan children in the backyard. 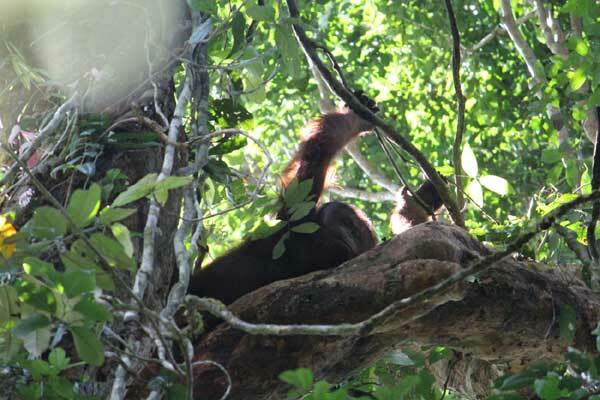 We observed orangutans vomiting that cannot be seen in the wild. Through watching their behavior and their attitude to humans, I felt a distance is very close not only between orangutans but also between orangutans and humans.